Bazooka Boy 2 is one of those happy-go-lucky fun-fest types of games in the 2D platformer genre where you run around with a bazooka and MANY different types of rockets. Your goal is to shoot and destroy these golden blocks so that you can get the gold they drop. Once you've gotten all the gold blocks in a level, you win! The platforming is a basic run, jump, double-jump sort of deal. It's solid for the most part, with the only problem being how you can drop like a sack of rocks at times. However, where this game really shines mechanically isn't in it's platforming, but in it's shooting. There are many types of rockets that do a wide variety of different things. The upgrades are only obtained in certain levels and reset each level. This forces you to deal with a variety of puzzles in a specific way. Some upgrades are for actual puzzles, while others seem to really be only for the sheer thrill of destroying mass amounts of blocks. Almost every upgrade is fun to use, whether it's for a puzzle or not. 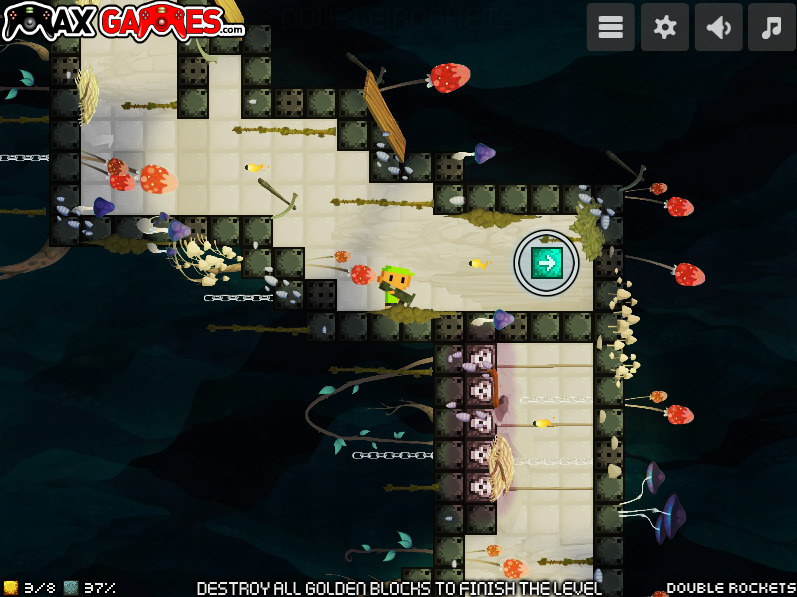 Level design balances puzzle segments, skill segments, and those mass destruction segments quite well. The puzzle segments are usually straightforward and are where the game tries to get you used to using a newly introduced mechanic or upgrade. The skill segments require precise timing for both jumping and shooting, and tend to be much faster paced. The mass destruction segments just allow you to unleash the raw destructive potential or whatever upgrade you have. 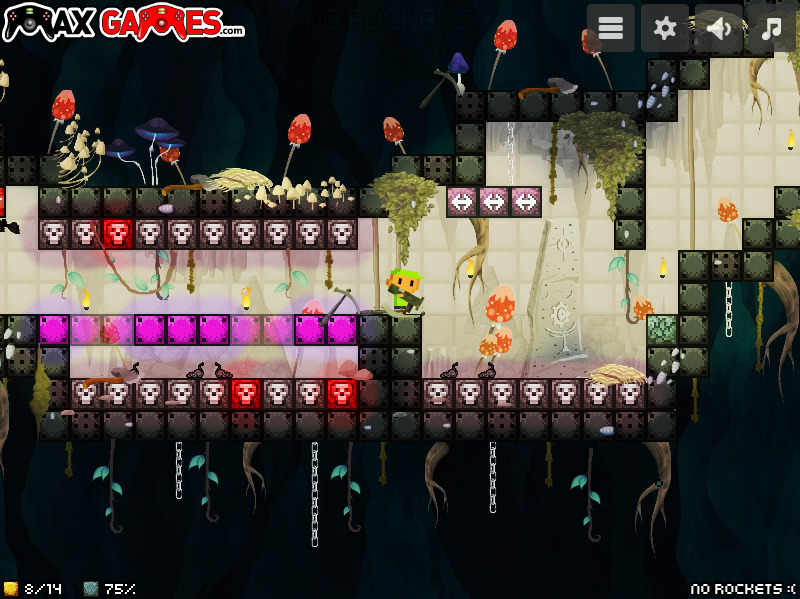 Levels consist of obstacles like blocks that won't go away until another block is destroyed, blocks that flip the entire level's gravity when destroyed, and more. While you are immune to you're own rockets (even being able to use it as a way of bouncing around), you aren't immune to death. Things like turrets and instant death blocks can swoop in to take you out. There isn't too much of a challenge in this game, but it has it's moments of reasonable difficulty. 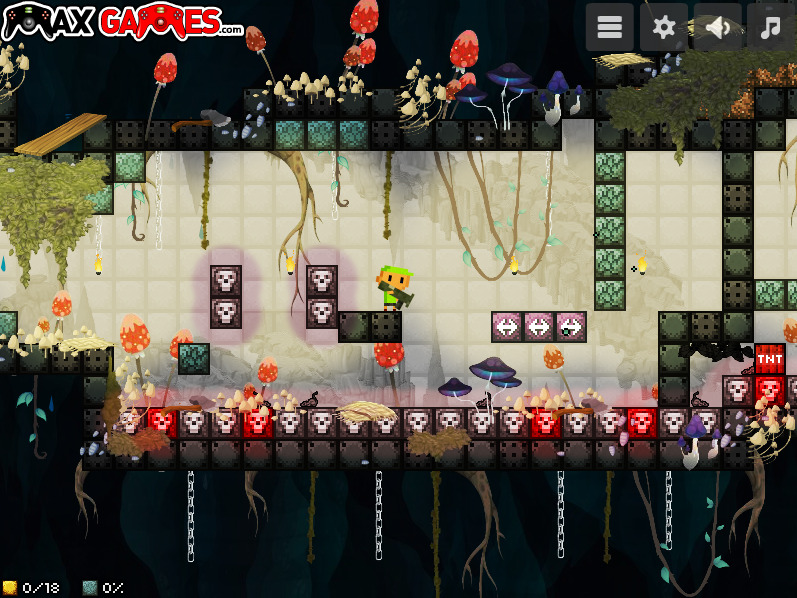 The visual style in this game is retro, utilizing pixels of multiple sizes to give itself a unique feel. 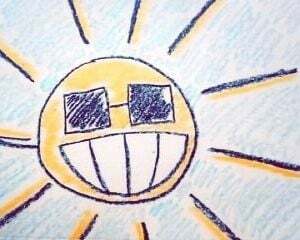 The things you don't really interact with wear darker and more dull colors, while the things you do interact with sport vibrant colors and flashy animations. The music has multiple tracks that play in certain levels, and are all fun to listen to. They inject the atmosphere of this game with a sense of fun, joy, and action! The music coupled with the satisfying sound effects is what makes the sound design in this game so good. And then the sound design coupled with the visual style is what makes the aesthetics so good. The narrative in this game only shows up at the end, in a little paragraph. It's really just a little comedic bit about how you have so much gold it's unfathomable. It talks about your golden bazooka, golden undies, and golden toothbrush. It's not much, but I enjoyed the little narrative tidbit at the end. It fit and added soul to the game. 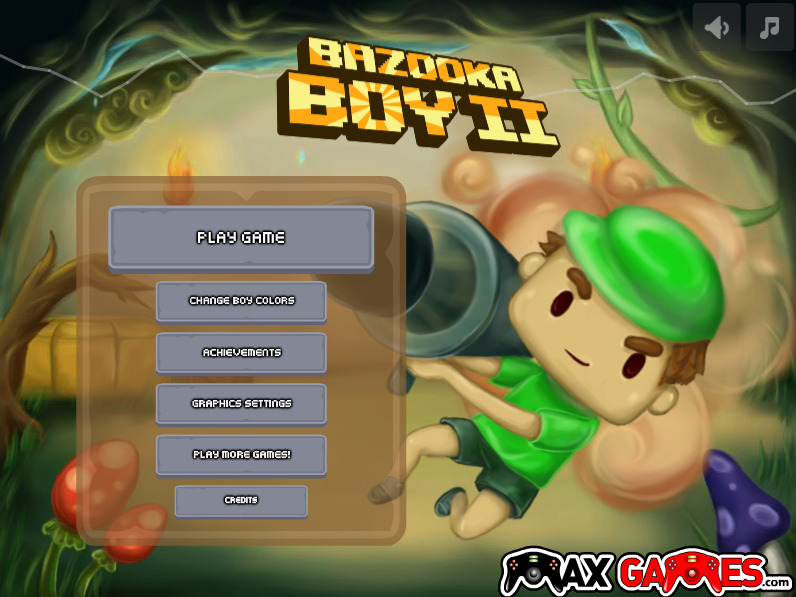 Bazooka Boy 2 was a blast (no pun intended) to play. It was a quick and easy experience, only being 15 bite-sized levels long. It's still worth the time it takes to play it, at least if you're interested in the games of this style. Question is: are you into the games of this style? Why not find out!